Hemet Unified School District (HUSD) had its annual Super Kids Bowl on Friday morning January 26, 2018. 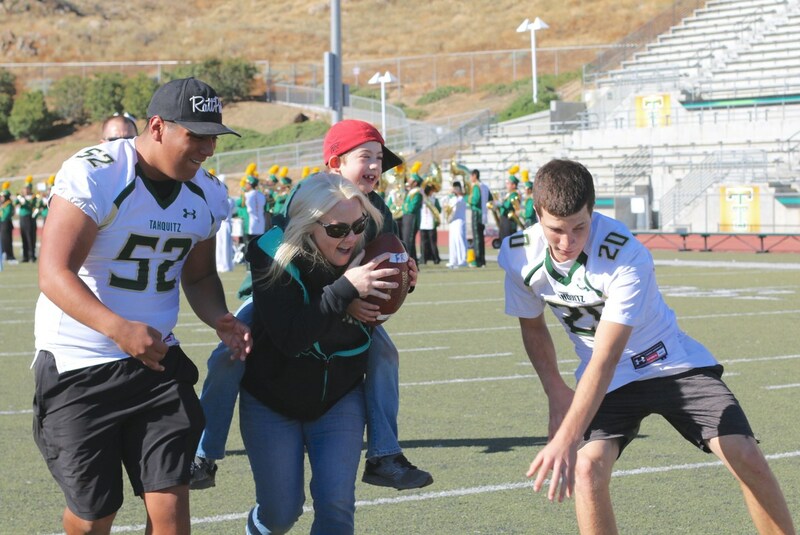 Students with moderate to severe disabilities participated in a safe version of football with the Tahquitz High School football team. Matt Kraemer, Principal of Idyllwild School, started this event 14 years ago, and it continues to inspire everyone involved. 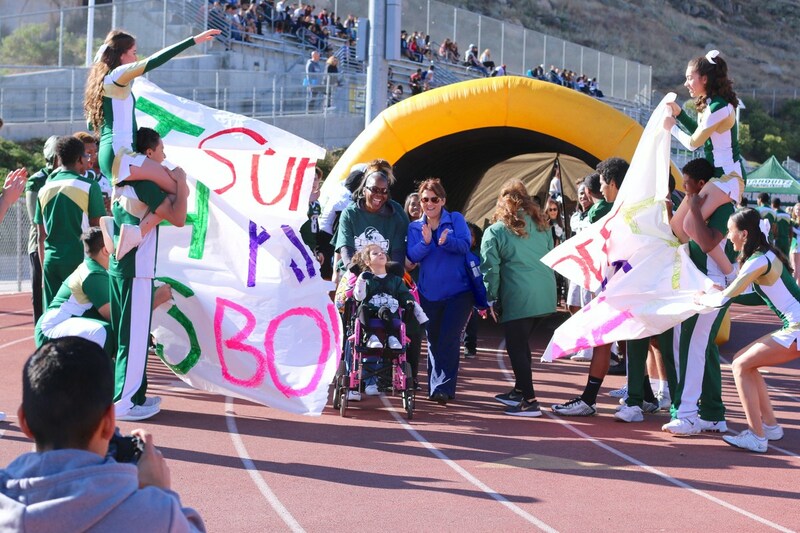 Every year students with moderate to severe disabilities will play a game of football with the support of a local HUSD football team. This year Tahquitz hosted this amazing event. The Titans offensive players assisted elementary grade students in scoring a touchdown against the defense. 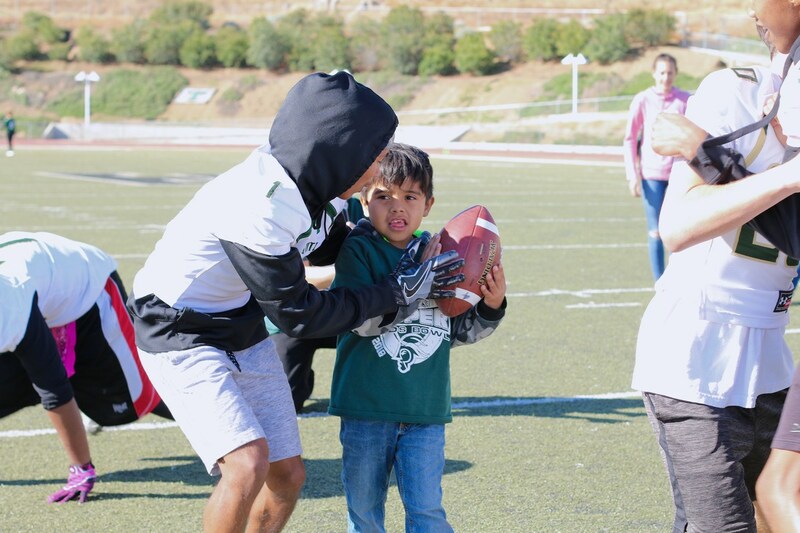 While hesitant at first, students couldn’t help but enjoy themselves as the Titans provided them with patience and encouragement to reach the end zone! 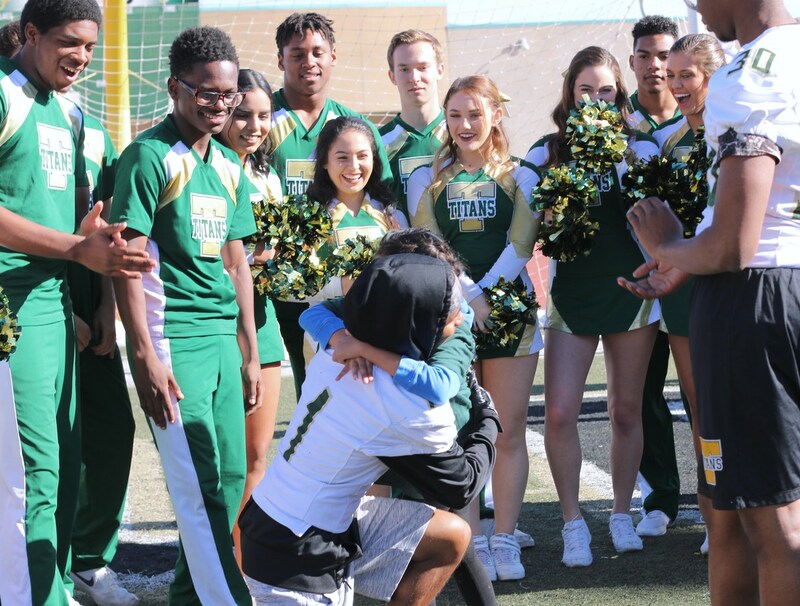 Students were seen spiking the ball, cheering along with the crowd, and high-fiving the Tahquitz cheerleaders on the sideline. Matt Kraemer had nothing but gratitude for everyone that supported this event: Associated Student Body (ASB) students from Idyllwild School helped their Principal throughout the event; West Valley’s Counselor Tom Windmiller, who helped Mr. Kraemer announce the football plays throughout the event; Tahquitz students and staff that helped make this a memorable day; Emily Hulstrom, a Bautista Creek teacher, Debbi Kraemer, HR Technician; and Idyllwild Rotary’s Tom and Kathy Kluzak for taking pictures; Hemet Unified’s Print Shop for the T-shirts with the Super Kids Bowl logo; and the Transportation Department for transporting the students to the event. The weather was beautiful, the field was great, and it all set the stage for yet another wonderful Super Kids Bowl! Thank you to everyone involved this year.